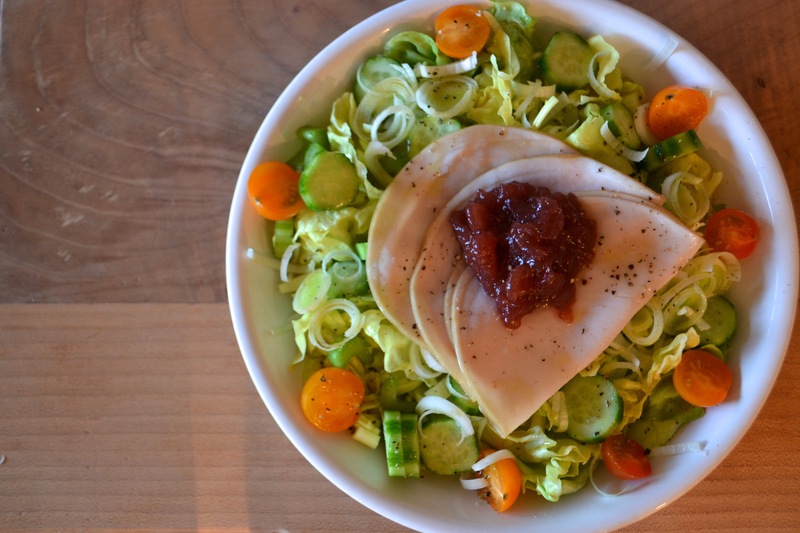 This salad may not seem like the type of meal you associate with the cooling days, chilly nights and falling leaves. However, I spent many an evening eating this salad during the cold, dark winter months of the year I lived in the Netherlands. My husband and I always looked forward to Friday evenings when we would head out on the bicycle–he on the seat pedaling, me sitting side saddle on the flat rack above the rear wheel, in route to “the spa.” We’d bounce over the cobblestones along the oudergracht (old canal) of our town. Unlike the American notion of a spa, spas in the Netherlands (and much of Europe) are places men and women go to relax, socialize and just hang out. Ours had a steam room, sauna and plunge pools, but mainly it was just an excuse to go somewhere really warm, don a plush bathrobe, sit by a roaring fire and eat good food. We still eat this salad on a regular basis. Not only does it meet my “medley of tastes, textures and colors” requirement, but it is very nutritious, substantial enough for a dinner (or heavy lunch), and it’s easy to prepare. Of course, you can make the salad however you like, but I like to arrange the salad as follows. 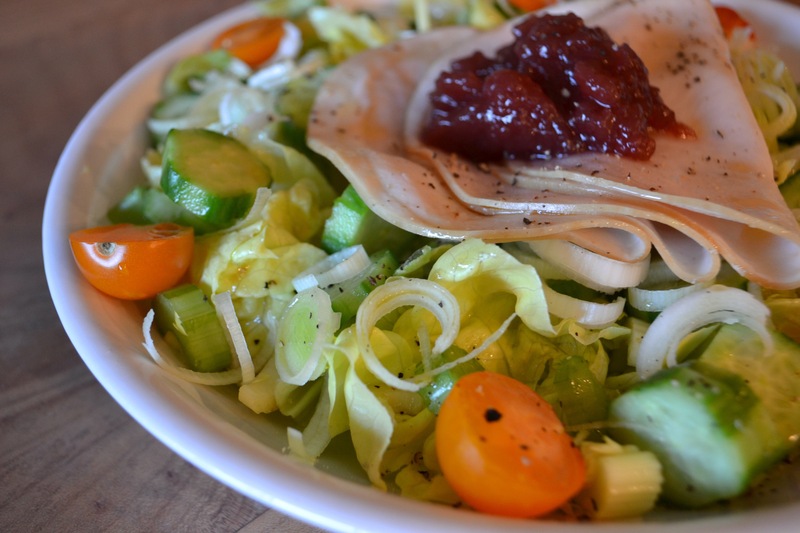 Put the lettuce on a plate, sprinkle the cucumber slices and tomatoes around the outside edge, sprinkle the entire thing with the sliced leaks, fold the sliced turkey in the middle, top with the cranberry sauce and drizzle all with the dressing. Looks like my perfect lunch! I didn’t realize any other cultures paired turkey with cranberry. Could you recommend a good red wine vinegar? the last two I have bought have been too tangy or just bad. I haven’t found a great one, but I’ve been using Don Bruno Sherry Vinegar, Spectrum Naturals and Napa Valley Organics.